I am thrilled to announce Bundle Buster is available as a stand alone pattern today! I am offering Bundle Buster on sale for $8 (20% off) for the first week (through September 29th), and you can purchase the downloadable PDF from my Craftsy and Etsy stores. Bundle Buster is also going to be carried as a printed pattern by Brewer Sewing (along with 7 of my other patterns), so be sure to ask your quilt shop to stock the printed versions. I created the 60″ x 80″ Bundle Buster pattern for the August Stash Builder Box. For the stand alone pattern, I am also offering instructions for making a baby and throw size. Because the pattern is based around fat quarter bundles, I did not specifically create instructions for larger sizes, but the quilt can easily be expanded by adding more blocks. Many thanks to Cheryl @Meadow Mist Designs for her pattern testing help and time. Congrats on the new pattern! I’ve seen some nice renditions already in blogland! Thanks Yvonne for the new pattern. I certainly have a lot of fat quarters waiting for a pattern. Congrats on the new pattern. Looks like an easy one. I love this pattern of yours. 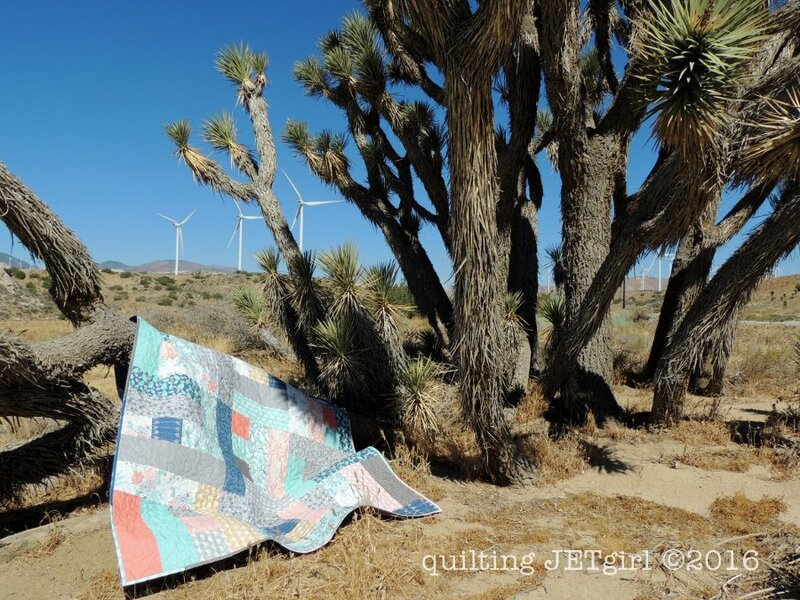 It looks like a great use of fabric for a fun quilt. Yay, congrats! I hope it’s very successful! I like patterns that can make quick work of fat quarter bundles. Is it just me, or did you tweak the look of your blog? Congrats on the new pattern! It is a great design and I love how it uses the fat quarters so efficiently! Congrats! I can’t wait to be home so I can sew again and this will definitely be on my list! Congratulations on the new pattern.